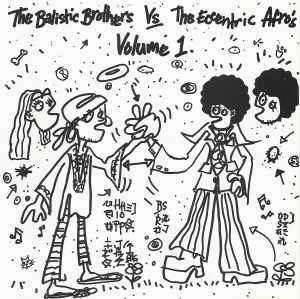 The deep hip-hop jazz on VOLUME 1 of the Ballistic Brothers vs. The Eccentric Afros launches with the casual slide of "NYX 2," The brief rock-influenced "Gangstalene" seems a tad underdeveloped, however, though the sweet chords of "Uschi's Groove" or the blues harmonica and Art of Noise sample in "MCF 2870" make up for it. "Blacker," a stand-out, would reappear on their second album, but its presence here shows how they would soon develop more fully over the next few years. "Valley Of The Afro Temple" falls into the acid jazz side of things, replete with mysterious chanting, and "Grovers Return" rounds out this short EP with an upbeat note. A sign of good things to come. Uschis Groove, An all time trip hop Classic.